Click below for step-by-step instructions on using our digital workbooks on different platforms. My student will use a PC. My student will use a Mac. My student will use a tablet. These digital versions of our student manuals are delivered as interactive, unrestricted PDFs—on which students can record their notes, highlights, and answers to fill-in-the-blank questions. Using software freely available on platforms like PC, Mac, and iPad, students can copy, annotate, and print their workbooks as needed. Your usage may vary depending on your platform. To keep things simple, flexible, and cost-effective for our ministry partners, we built these files using an open system with no restrictions or digital rights management (DRM). We simply ask that you restrict the use of these files to students for whom you have purchased licenses. Please purchase one license per student per year, as you would with a consumable student workbook. Most of our elementary student manuals are not available in digital format. Note: Due to copyright restrictions on materials referenced in The Inner Man, we are unable to offer the entire study in digital format. If your school would like to use part of this study digitally, please contact us for a special licensing arrangement. All our digital workbooks are encoded in open PDF (portable document format). We’ve enhanced these files with basic interactivity and forms that allow students to type and store their answers to study questions. You can read, annotate, and save these PDF files with software freely available for most PCs, Macs, and advanced tablets like the iPad. Beginning July 2017, some Chromebook models are compatible, as well. Our digital workbooks will work on Chromebooks that have access to the Play Store and the free Android app Adobe Reader®. The Play Store became available to certain Chromebooks beginning July 2017. To see if your Chromebook model can access the Play Store, check Google's current list of compatible Chromebooks here. To download Adobe Reader, you will need to first install the Play Store app. Please make sure you can install the free Adobe Reader app before purchasing digital workbook licenses. We'd also recommend downloading and testing a sample chapter. As of September 2018, Kindle Fire devices are generally not compatible with our digital workbooks. The Adobe Reader app available on the Kindle store has not been updated since 2016, and it may not run reliably. Kindle Fire owners can change the settings on their devices to access the Google Play store and the newest Adobe Reader app, but this is recommended only for advanced users. While some e-ink devices—notably the black-and-white Kindle and Nook readers—advertise PDF compatibility, they do not support the interactive features we have placed in the workbooks. Therefore, we cannot recommend using our digital workbooks on these devices at this time. We recommend that you install the latest version of the free Adobe Reader software on your device and use that to read and annotate the digital workbooks. You—the school, church, or parent—can purchase licenses for your students to use the digital workbooks. Each license gives you permission to use a digital workbook with one student for one school year. Licenses are available exclusively from positiveaction.org. To purchase licenses, simply add the desired number to your cart from the 'Student Manual - Digital' product page for the given study. You can also order by calling. 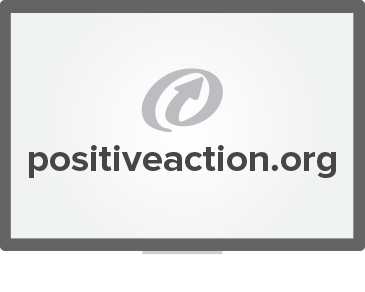 You, the purchaser, will first download the files from positiveaction.org. Then you can distribute the files to licensed students however you need. After purchase, you will be sent an email with instructions on downloading the digital workbook files. These are delivered in a compressed ZIP folder, which you can download onto your PC or Mac, then extract (Windows: right-click, then 'Extract'; Mac: double-click). 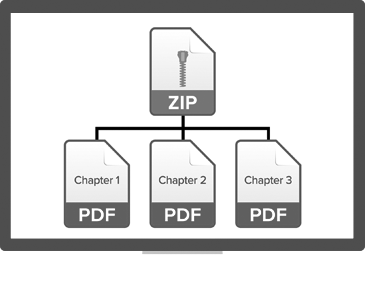 Note: iPads and other tablets are not able to read and extract compressed ZIP folders. You must first download the files onto a PC or Mac computer before delivering the extracted files to a mobile device. You may then copy and backup those files as needed to distribute to authorized students at your home or ministry. 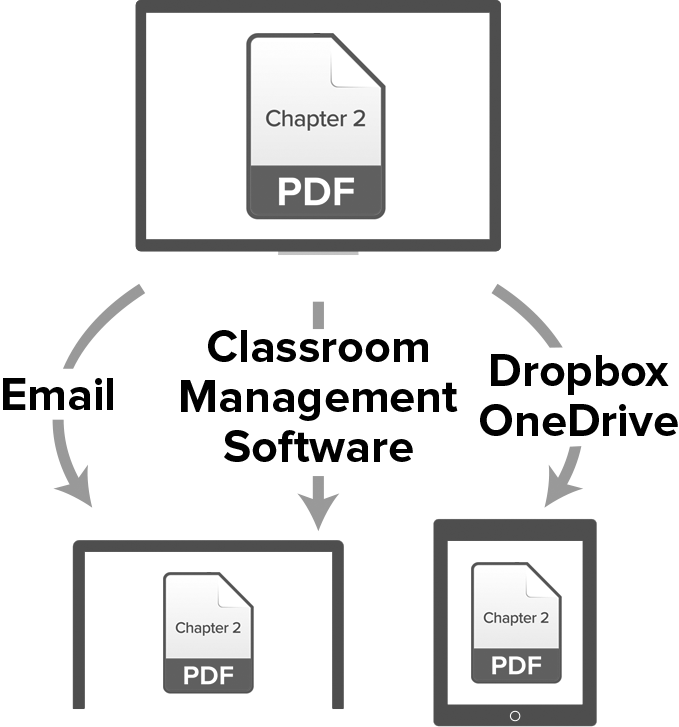 Email a single chapter's PDF as an attachment to your class each week, which they can download on their device of choice. Store all of a study's PDFs in a shared folder on your school's network or cloud-based service. Upload the PDFs to your classroom management software or shared class website, to be accessed by students as needed. See the end user license agreement for applicable restrictions. For ease of use—and to keep prices low—we have included no copy restrictions on these files. We simply ask that you restrict the use of the PDFs to those students for whom you have purchased licenses. Before downloading these digital workbooks, you will be given a chance to read and accept the End User License Agreement. You must accept the EULA to download and use the workbooks. At the end of the school year, your students may keep copies of their completed digital workbooks for their own reference. Your license agreement stipulates that you—the school, church, or parent—ensure that all other copies of the digital workbooks are deleted. If you wish to use the same digital workbooks for new students in the coming school year, please purchase updated licenses and download updated files. All unauthorized distribution is prohibited. Note: For the sake of usability, we embed no copy restrictions in the digital workbooks. We trust ministries and parents restrict the use of the PDFs to those students for whom they have purchased licenses. If you have any questions or comments about using these digital workbooks, please let us know.